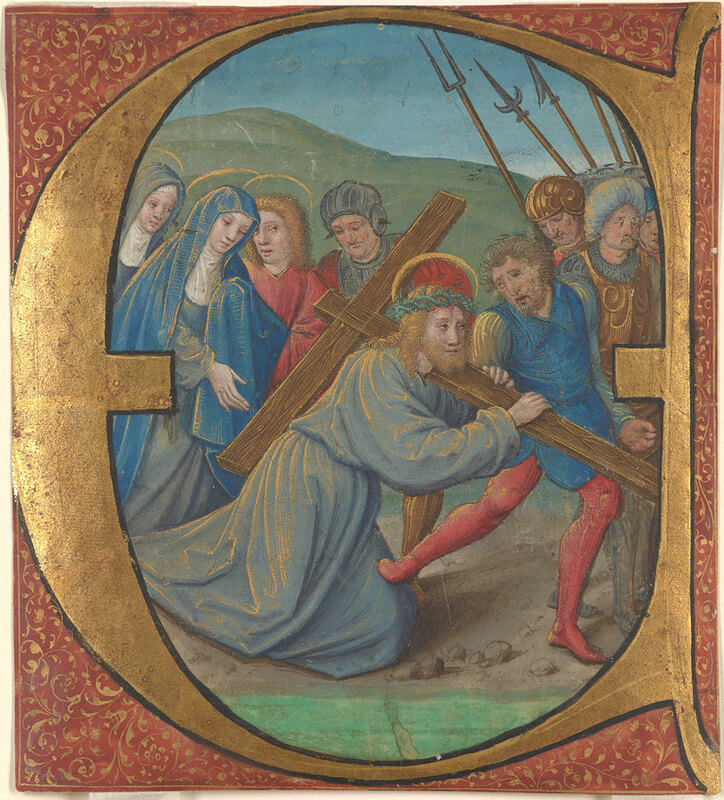 Historiated initial E: Christ Carrying the Cross. Purchased with a grant from the B.H. Breslauer Foundation, 2014. The parent codex of the cutting is not known and no other fragments from it have so far been identified; this cutting was bought by the Morgan in Angers, Chauviré et Courant, 10-11 December 2013, lot 347. An historiated in initial "E" from an Antiphonary depicting Christ Carrying the Cross, illuminated by the Master of Claude de France in Tours, between 1510 and 1515. Decoration: historiated initial with decorated border. Artist: Master of Claude de France. This cutting joins other Morgan illuminations by the Master of Claude de France: MSS M.1051, M.1143, M.1166, M.1171.